Game works 100%. Needs new battery soldered to board. Has some wear past pitch and putt. Needs new rubbers... should clean up nicely. These are horriblehager's all time market stats. Whattt? What is going on with these prices, good lord.. Right? I mean I know the Pinside market values aren't gospel, but they're a damn good indicator! 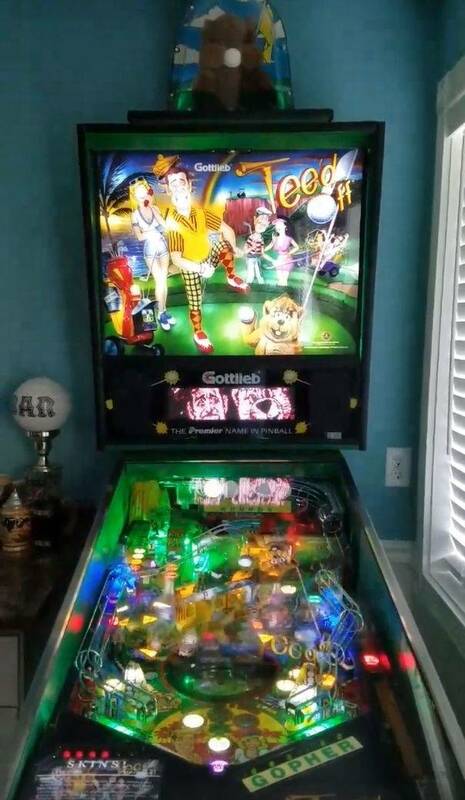 This thing is more than $1K over the max value of the game... and it needs a shop job... and minor electrical work... and is missing the topper. No gopher! Needs rubbers? Wear? $2750?! I think If I tried hard enough, I could buy two fully working and complete Tee'd Off machines for the list price of this one. I just said the exact same thing to my wife as I entered this post to see what this game looked like at that price. Makes this look like a bargain. $10k by Christmas? I doubt I would ever get $1900 for mine. Just wish I had the time to finish colorizing the DMD.